…and that’s coming from somebody who likes Fleming a lot and thought he was a terrific conservative congressman from District 4 when he was in office. John Fleming, the former 4th District congressman and current deputy assistant secretary of health information technology reform, is seriously considering jumping into the developing race for governor, according to several sources. Friends of the Minden resident add that he has not yet set a timetable for making a final decision. His ability to engage in political activities is limited due to his current job in President Donald Trump’s administration. If Fleming were to run for governor, he would have to resign his post before building any kind of a campaign apparatus. Last year, Trump nominated Fleming to a post in the U.S. Department of Commerce. The nomination did not receive a confirmation vote in the Senate and was returned to the president upon adjournment of the 115th Congress. The White House has yet to re-submit Fleming’s nomination. Fleming will be in Louisiana this week to participate in a panel discussion on health care with U.S. Sen. Bill Cassidy and Congressman Ralph Abraham during the Southern Republican Leadership Conference. This is the kind of development which would be welcome if Louisiana was like the vast majority of other states and had a party primary system. At that point, the more Republicans fighting it out to bear the conservative standard the better, and may the best man or woman win. And if Fleming were to outlast Ralph Abraham and Eddie Rispone and earn the nomination as the standard bearer, we’d be more than happy to see it. Fleming had, as often as not, a 100 percent conservative rating from the American Conservative Union. He scored at or near that number on pretty much every other congressional scorecard while he served LA-4 in the House from 2009-16. Problem is, ideology alone doesn’t get you elected statewide in Louisiana. We found that out, if we didn’t already know it, when David Vitter couldn’t get 45 percent in the 2015 gubernatorial runoff. And Vitter had substantially better political chops than did Fleming – though Fleming lacks the Achilles heel Vitter did, obviously. But if you consider that if you put Fleming into the race with Ralph Abraham, you make it more or less impossible for anybody from North Louisiana to become the state’s next governor this year. Fleming and Abraham will split the North Louisiana vote and likely give Rispone, who is from Baton Rouge, a wide lane into the runoff. We got calls from lots of folks who were upset this morning over the idea Fleming might get in. We didn’t get any calls from Rispone’s camp upset about this development. They like it fine. Know who else likes it fine? John Bel Edwards. Edwards wants there to be a million Republicans in the race. As far as he’s concerned, the surest way for him to win re-election is for the field opposite him to devolve into a bucket of crabs. And campaign folks from the state GOP and the other institutional players on the Louisiana political scene have been telling us all day that as soon as Fleming gets in it’ll be like the floodgates opening – and before you know it there will be easily a half-dozen Republicans running. Once Fleming is in, why wouldn’t Charles Boustany, whose name has been bandied about as a potential candidate, jump in? Why wouldn’t outgoing Public Service Commission chairman Eric Skrmetta get in? Why wouldn’t state senator Sharon Hewitt get in? Hell, at that point you would probably need state representative Alan Seabaugh to get in, if for no other reason than that Seabaugh would at least spend his time beating up Edwards rather than the other Republicans in the race. Besides, when Fleming ran for the Senate in 2016, placing a disappointing fifth after at one point claiming the lead in the race, his political consultant was J Hudson – the same J Hudson who ran Rick Edmonds’ race for Secretary of State last year. Hudson convinced his client to go negative on the GOP frontrunner Kyle Ardoin, which gave heart attacks to practically everybody in the state Republican Party, and it didn’t help Edmonds any. Would Fleming hire Hudson again? Or would he hire a different political consultant with the same strategy as Hudson’s last year – essentially, to burn down the Republican competition and hope to do the same to Edwards in the runoff? If we thought Fleming had a path to win, we probably would be happy to see him run. Problem is, he doesn’t. And because he doesn’t, we don’t really see a productive role for him in this race. We know we’re not alone in that regard. This is a bad idea and here’s hoping it’s not one that comes into fruition. That’s not a negative judgement on Fleming at all. It’s just a recognition of reality. 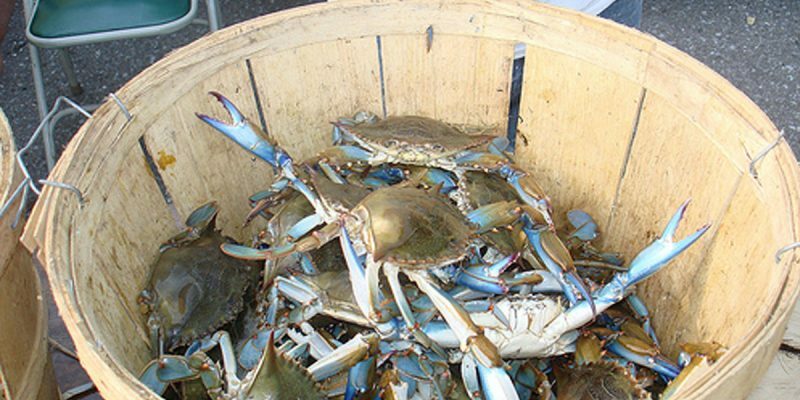 Crabs-in-a-bucket is not how we’re going to beat John Bel Edwards this fall.